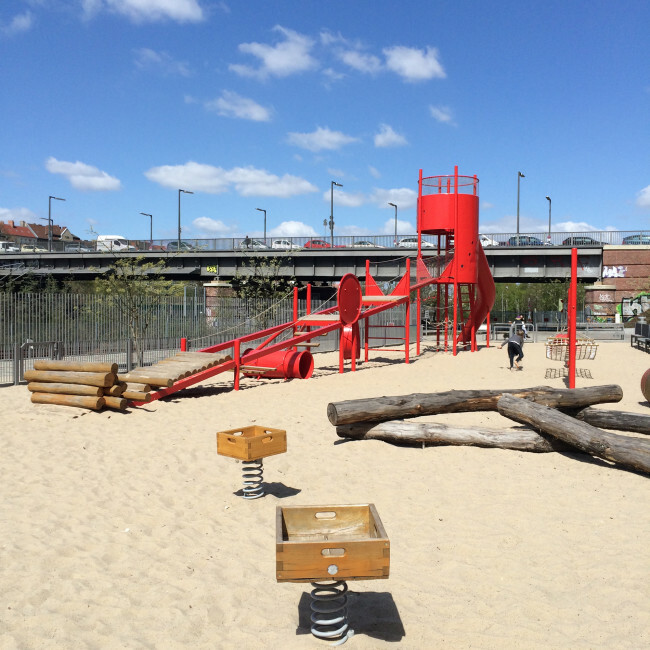 Last week I shared our ‘Park & Playground Kit’ with you, after which many people asked if we had a good park near us. 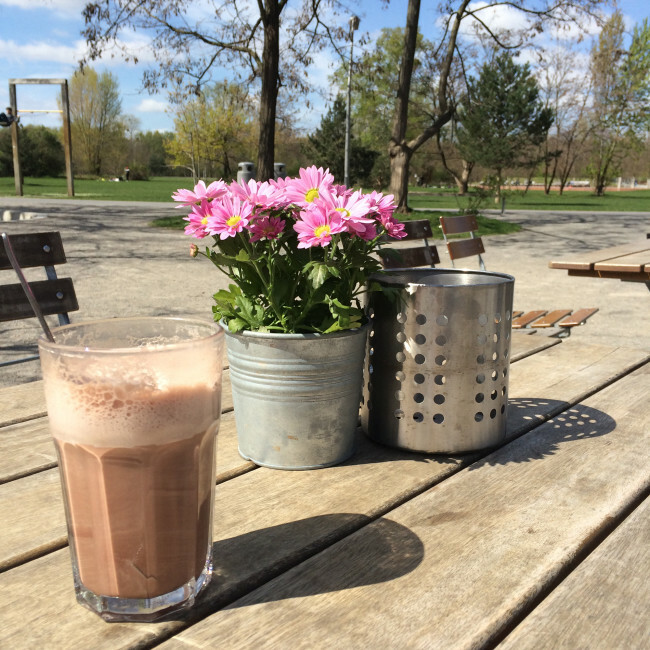 So I thought I’d take the opportunity to share our favourite park with you, which has everything you need for a day out and is a great destination to head to if you are visiting Berlin with kids! 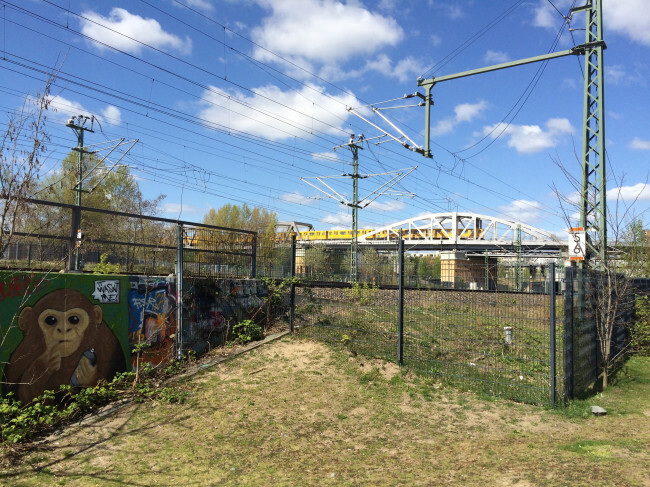 A field full of rubble typically found on rail tracks symbolises nature reclaiming industrial land. 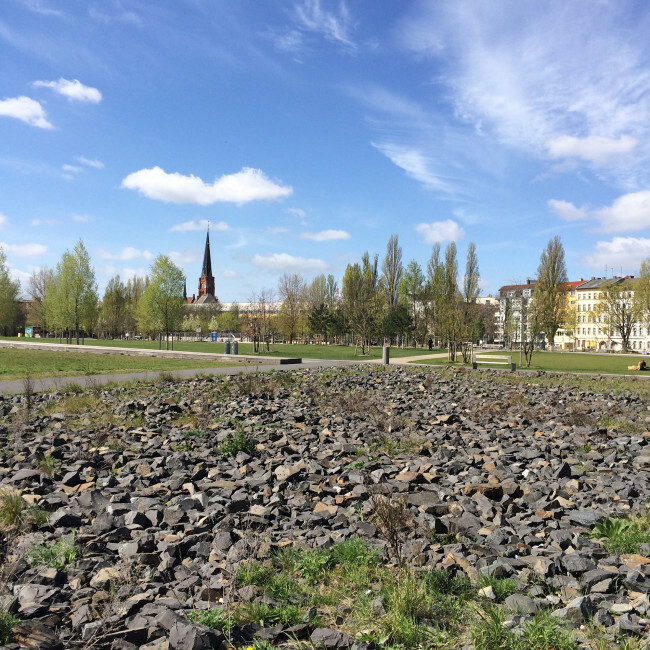 The ‘Park am Gleisdreieck’ – also known as ‘Gleisdreieck Park’ – was created on a piece of reclaimed land between a couple of Berlin’s railway tracks. The name ‘Gleisdreieck’ literally translates as ‘track triangle’, and is the name for a triangular railway junction. 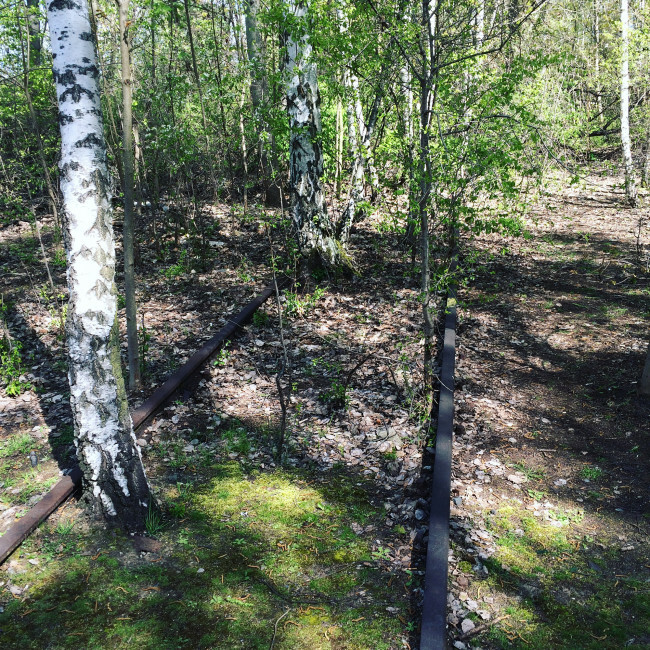 Even though the tracks now take a different route, the name has stuck. And if you look at the newly created park on a map, some of it is actually triangular shaped too! Peeking through the fence to the rail tracks still in use. 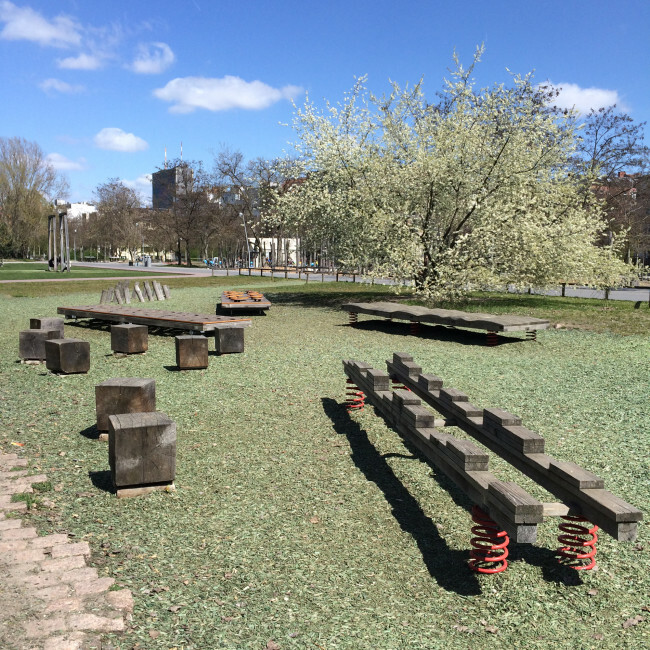 A ‘natural playground’ in Ostpark. 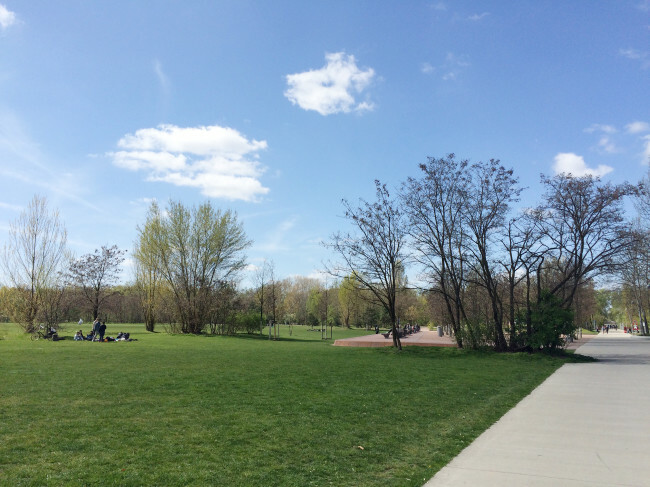 The wide open grassy fields of Ostpark. 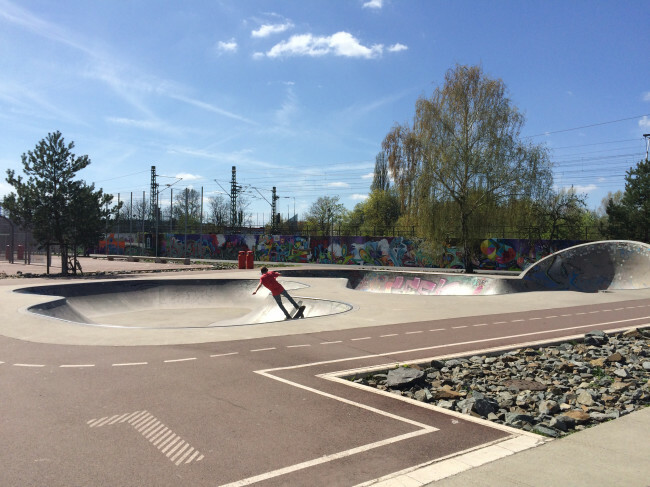 The skate park in Ostpark. The park actually consists of three parks joined together: the Ostpark on the east side (opened in 2011), the Westpark on the west side (opened in 2013), and the Flaschenhalspark – literally ‘bottle neck park’, if you look at the map linked above you’ll see why – to the south (opened in 2014). Altogether, the entire park complex covers almost 78 acres of land. 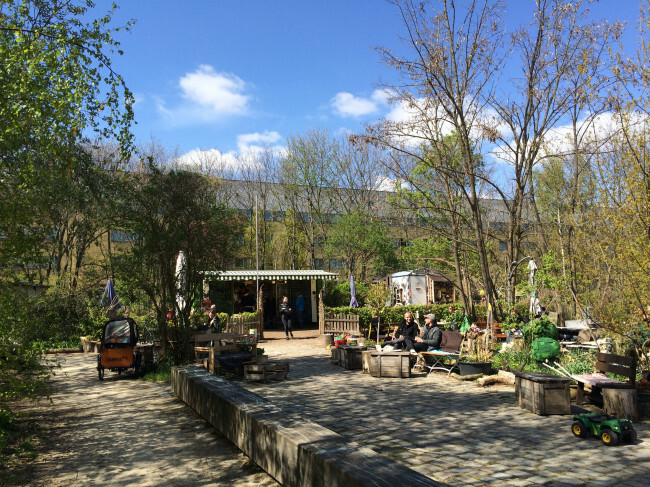 The majority of the park lies in the district of Kreuzberg, with some of it in Schöneberg (where we live), and it also borders Tiergarten and Mitte to the north. 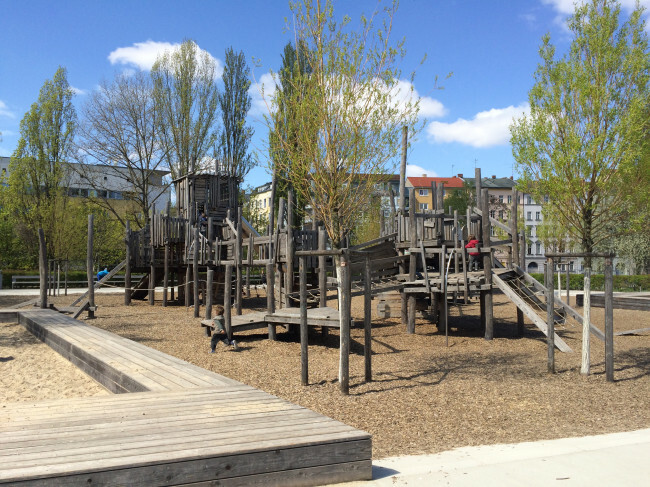 One of the playgrounds in Westpark. It’s a 15-20 minute walk from our house to the west entrance of the park, or sometimes we go two stops on the train which drops us off in the middle of the park. As well as large, grassy areas throughout the whole park to run around on, have picnics etc, there are a number of facilities dotted throughout. 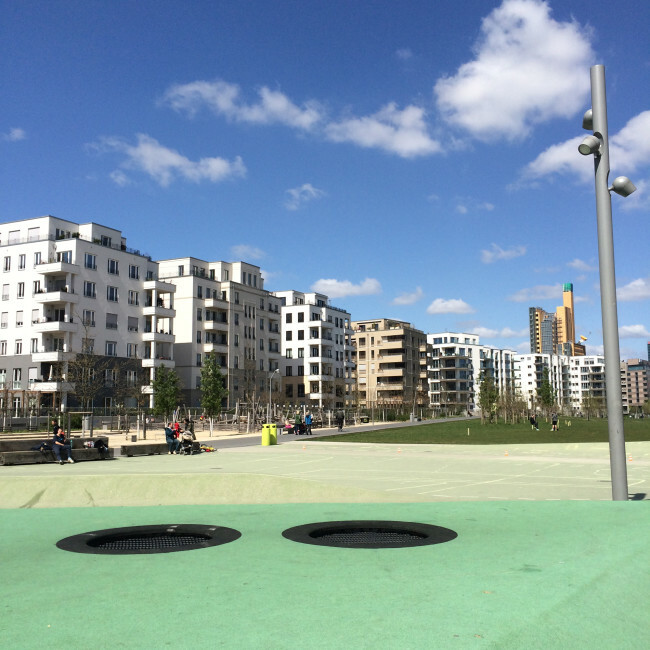 The Westpark includes several playgrounds, fitness parcours and pingpong tables, football and basketball courts, bike ramps and even a boule track and some small trampolines. 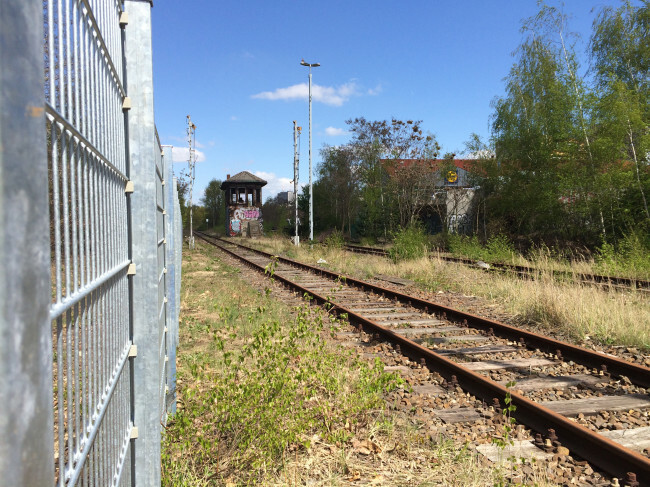 As well as allotments, a beach volleyball enclosure, an outdoor cafe – Cafe Eule – and public toilets. 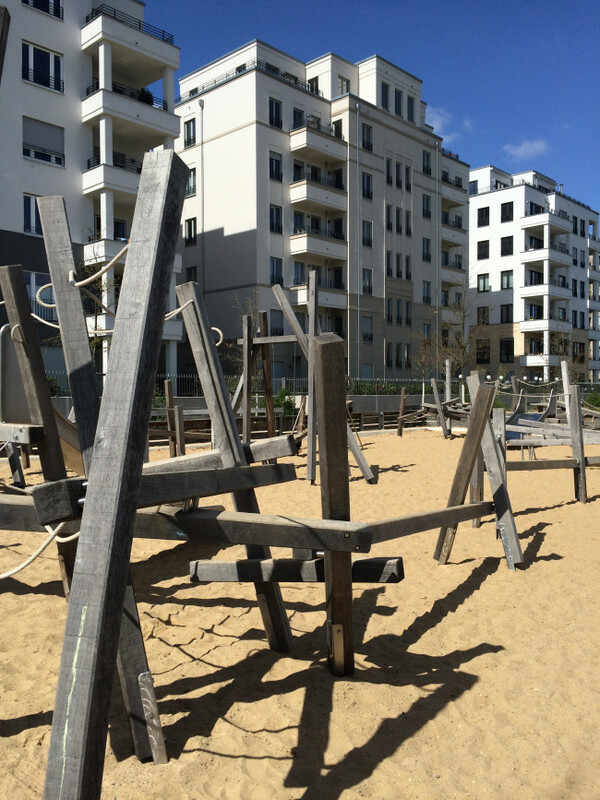 The other playground in Westpark. 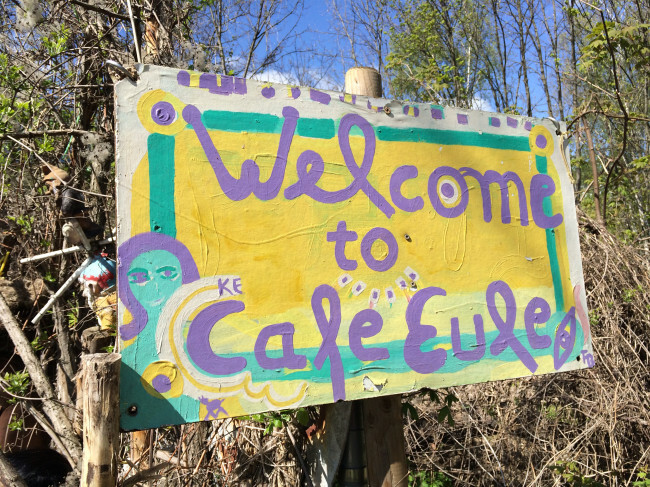 Cafe Eule’s opening times depend on the weather, as all seating is outdoors. Walking from Westpark to Ostpark. 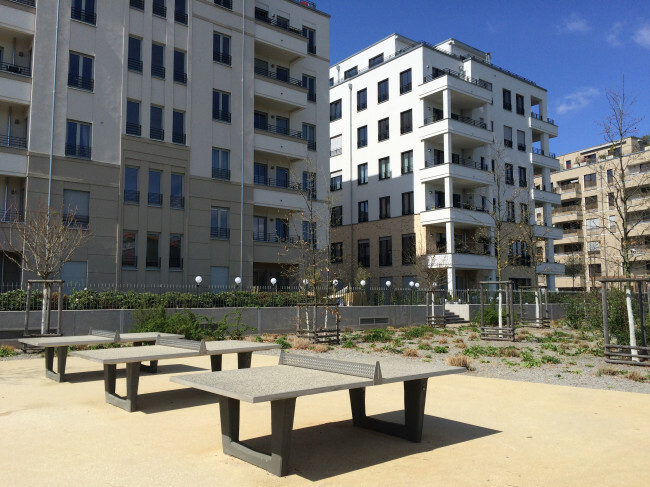 The Ostpark includes several playgrounds, fitness parcours, pingpong tables, football and basketball courts. It also has a skatepark. 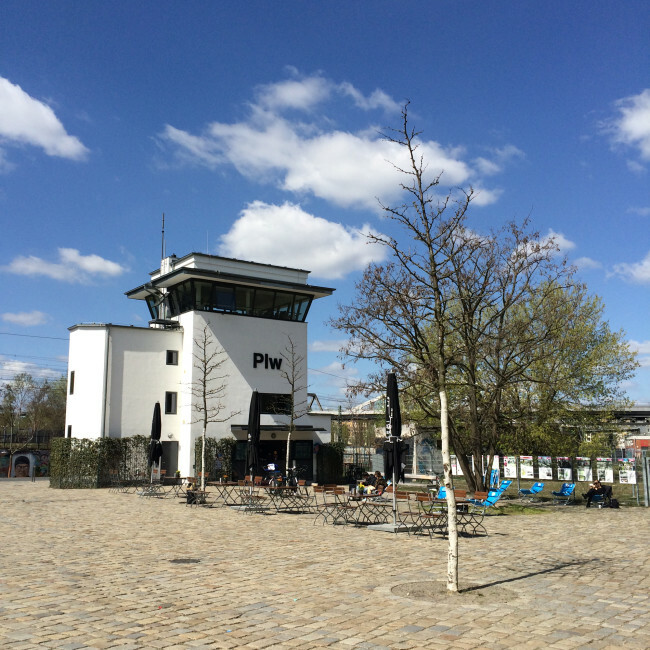 There are two kiosks, one at either side, also include public toilets, and the Ostpark backs on the Deutsches Technikmuseum in the north, which also has a cafe that overlooks the park. Last time we were there, we witnessed some of the engines from the museum being run along the tracks through the park! The Kiosk in Ostpark, next to the skate park. 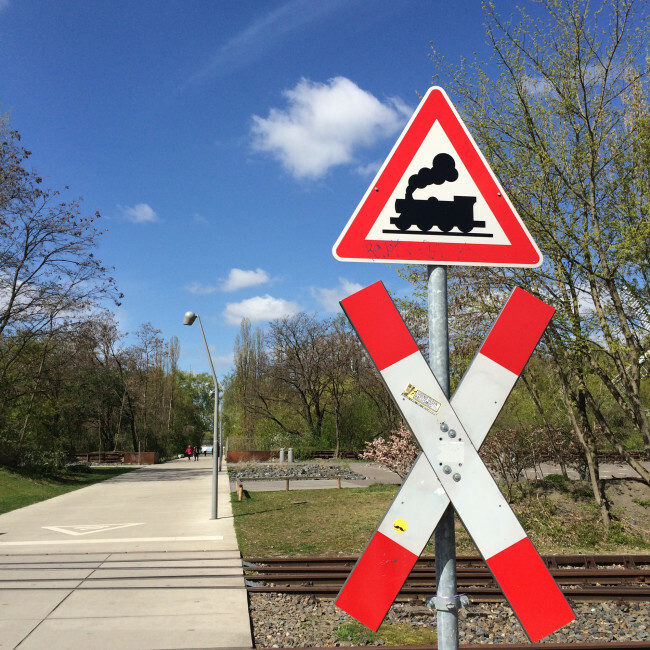 Beware – tracks still in use! This is where the museum runs its engines. 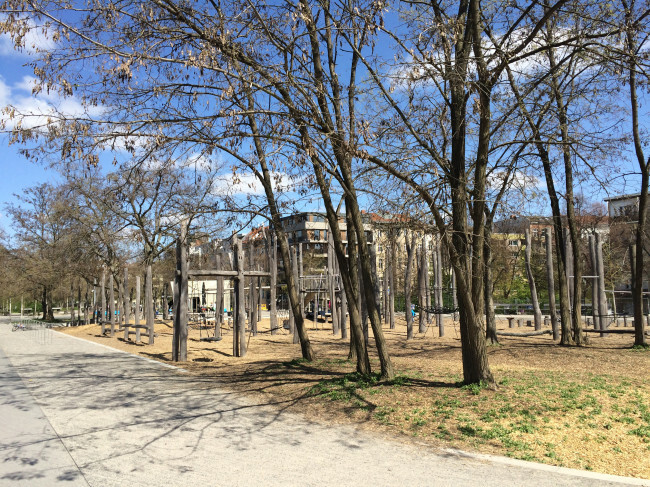 One of the playgrounds in Ostpark. 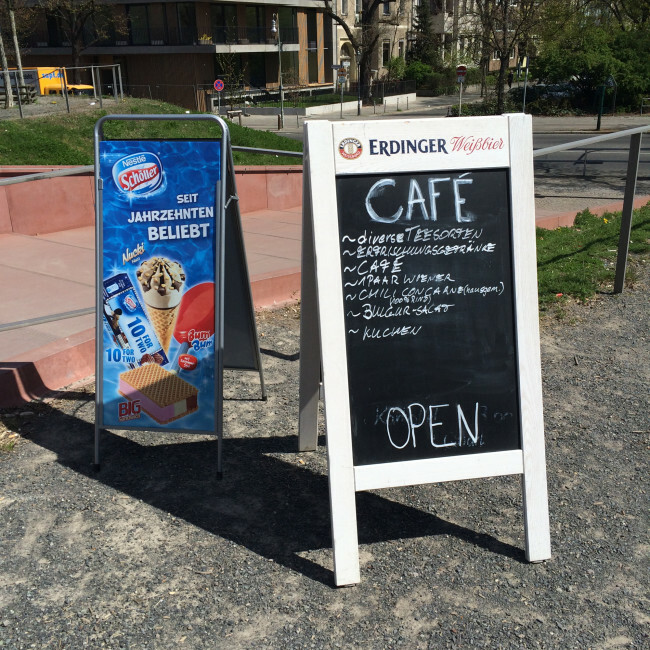 Drinks, ice creams and snacks on sale at the Kiosk next to the Ostpark’s east entrance. 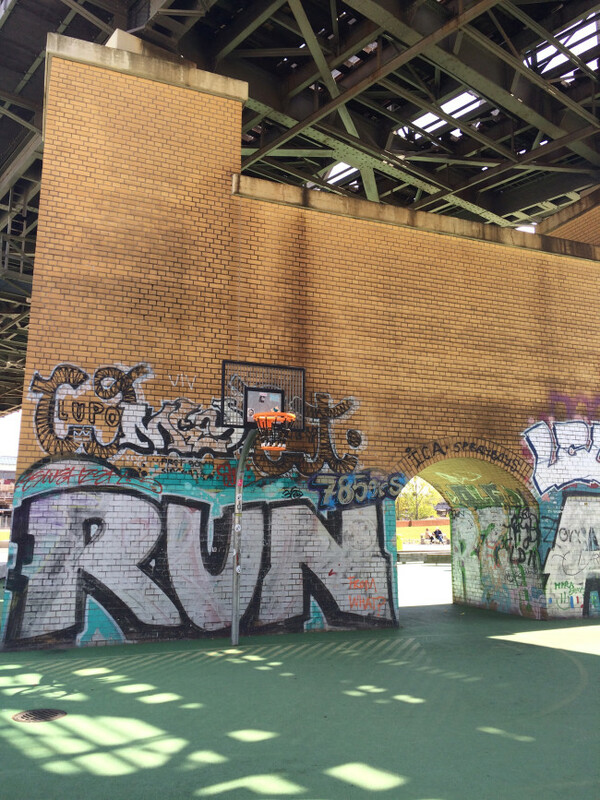 The Flaschenhalspark includes a basketball court and a playground, at the very south tip of the park. 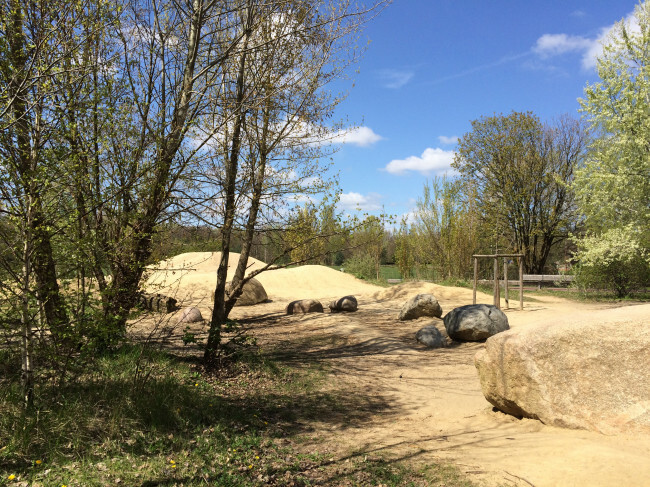 You can easily spend a whole day at the Gleisdreieck Park. At weekends and when the weather is good, the entire park is teeming with people, and the skate and bike parks are crowded with bicycles, scooters, skateboards, you name it. Since the park is relatively new, there is not an awful lot of shade – the trees still need to grow some more! 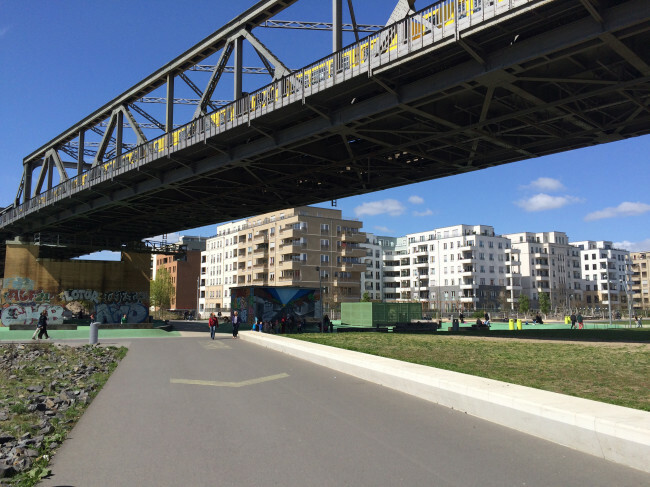 – and in the height of Berlin summer it sometimes gets too hot to use the playground equipment (think hot metal roasting in the sun), but when it gets that hot you’ll probably want to head to an outdoor pool or water playground instead anyway. All in all, it’s great to have such a fantastic park near us, a real oasis in the middle of the city.